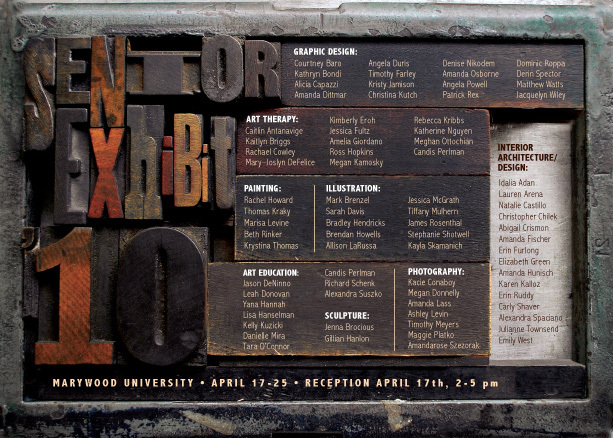 I received a Silver Addy for the postcard I designed for the Marywood Senior Exhibition 2010. I photographed letterpress type for this design, printed it and used the print on the backside of the card. In addition t-shirts were printed using the letterpress print.